On January 30, our TSC Kids volunteered to prepare meals for Gift of Life Family House in Philadelphia. This event was a chance for older TSC Kids (10 and over) to be hands-on in cooking something for those in need. 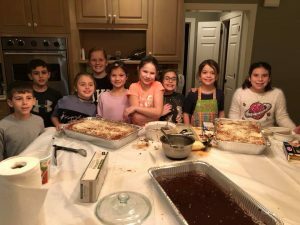 They cooked green beans, lasagna and brownies and packed up the delicious meal that was ultimately delivered to the families staying at the Gift of Life Family House as their children await transplants. 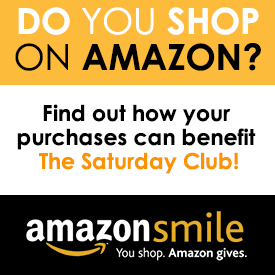 TSC Kids is comprised of children of Saturday Club members who come together throughout the year to learn about community service and participate in various volunteer activities. Gift of Life Family House is a “home away from home” for transplant patients. Since 2011, the house provides temporary, affordable lodging and supportive services to patients and their families who travel to Philadelphia for transplant-related care. Dinner is served family style for all residents and volunteers either prepare meals on site or deliver fully prepared meals as TSC Kids Club did. For more information about Gift of Life Family House visit www.giftoflifefamilyhouse.org.